Often times, it is difficult to get a client to file the Complaint for Divorce. They may be reluctant to do so for religious or moral reasons or sometimes because they simply do not want to be the person who initiated the divorce. On the other hand, some clients want to prematurely file the Complaint out of anger of resentment. Try to avoid making the decision for such reasons. Discuss with your attorney whether there are any legal issues which may affect the timing of the divorce filing. Sometimes there are medical insurance issues, sometimes there are pending changes regarding your assets or sometimes there are significant pending changes in your income of employment status. Any of those could significantly affect the decision as to whether or not a Complaint for Divorce should or should not be filed. Absent such legal considerations, is usually does not make any difference who files first or on what grounds. As to the grounds for divorce, New Jersey has “no fault grounds.” Irreconcilable differences is now the most often used no-fault ground. However, notwithstanding the ease of using such ground, you should review with your attorney whether or not a fault ground should be used. In some cases, the fault may be so egregious or may have such a significant impact on the family finances, that it should be used. For examples, a history of violence, substance abuse or alcoholism may be very important with regard to parenting issues. Or, a long history of infidelity particularly when family income or resources have been squandered on extramarital affairs may be relevant as to how the remaining assets should be distributed. Or, fault which involves or affects the children may be relevant to custody issues. When considering a fault ground, however, a word of caution is appropriate. You should not be over zealous. For examples, you may not want to call instances of marital infidelity with a subordinate to the attention of your spouse’s employer if to do so may result in them losing their job. Similarly, unnecessarily or inappropriately disclosing unreported income may result in IRS liens or penalties which could be minimized of avoided with a more reasoned approach. 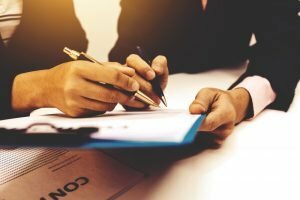 If the disclosure of such matters is important to your case, your attorney can discuss with you the use of arbitration or another alternative dispute resolution. The date of the filing of your complaint for divorce is an important date. It will serve as the baseline or starting point for the determination of your financial status relative to your divorce. Therefore, discuss it carefully with your attorney. For more information on this topic, please contact Megan Smith at msmith@offitkurman.com. Megan E. Smith devotes her practice to matrimonial, divorce, and family law, and is a trained collaborative lawyer and divorce mediator. She works with clients in all areas of matrimonial and family law, including the developing area of LGBT law as it relates to children and families. Her practice is concentrated in divorce, dissolution of civil unions, termination of domestic partnerships, custody, parenting time, child support, alimony, equitable distribution and pre-nuptial planning as well as related post-judgment issues, such as emancipation, support enforcement, and implementation of settlement agreements. In 2008-2015, Ms. Smith has been a co-chair and speaker at the New Jersey Association for Justice annual convention in Atlantic City. 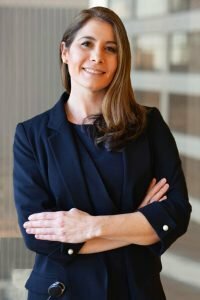 Ms. Smith was recognized by Super Lawyers as a Rising Star in 2016 and a Super Lawyer 2017-2018. She was also recognized as an Awesome Attorney in 2015, 2016 and 2017 by South Jersey Magazine.